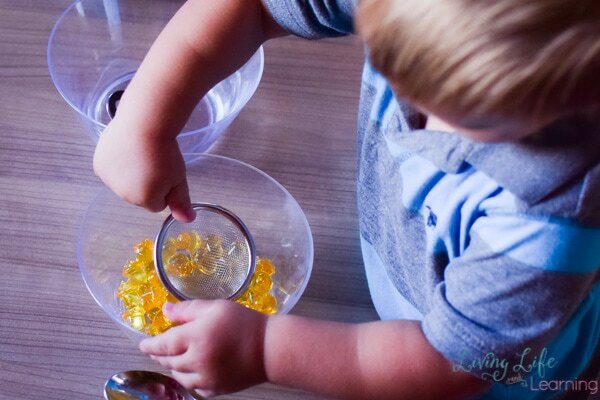 Fine motor activities are so important for toddlers, preschoolers, and even older kids. 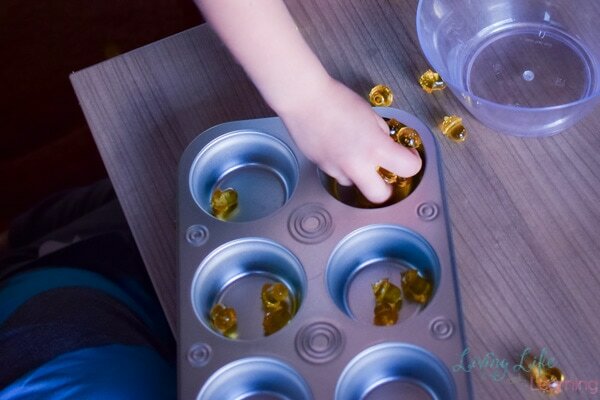 They’re crucial for getting ready for handwriting, practicing hand-eye coordination, and preparing for many practical life tasks that your kids will do throughout their lives. Sounds like a whole lot of learning going on that’s bound to be sort of boring, right? Not at all! 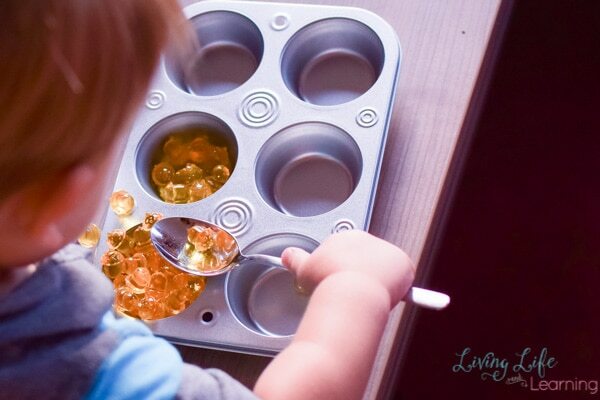 There are a ton of ways to make it fun with the simplest materials. 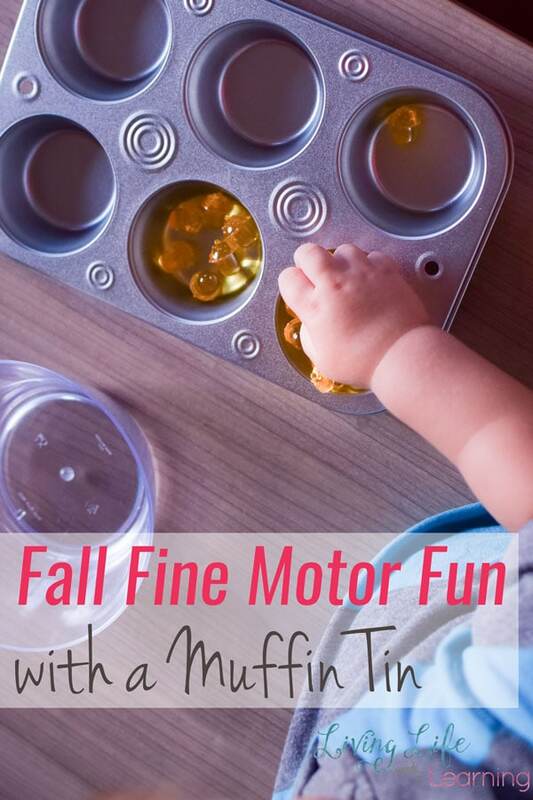 Today, I have some Fall Fine Motor Fun with a Muffin Tin for you that my toddler adored and that his sister, who’s in kindergarten, also had a lot of fun with. 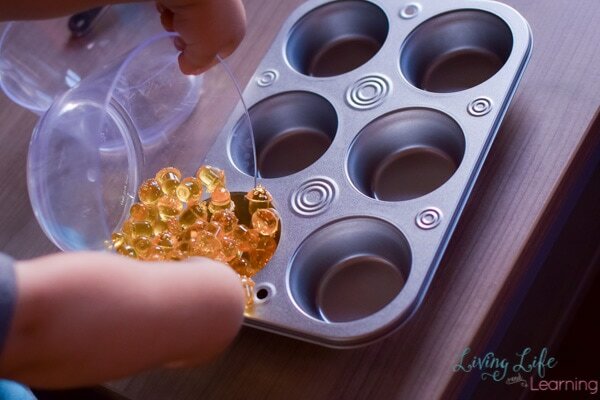 This activity is really very easy to set up. 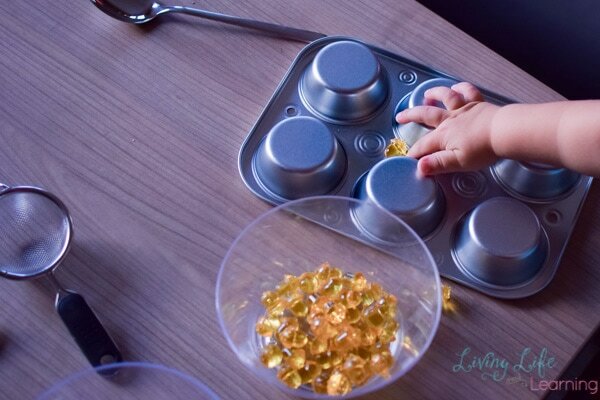 I put a muffin tin and two bowls on the table and placed the yellow acorns in one of the bowls. That was all N needed to know to dive right in. 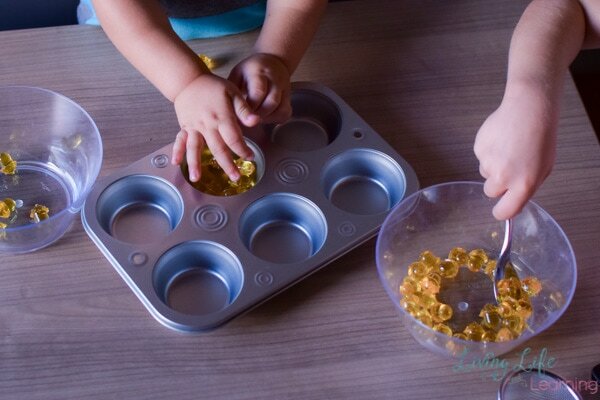 He spent quite a bit of time working with this tea strainer picking up acorns, dumping them back in the bowl, picking them up again, transferring them to the muffin tin, etc. 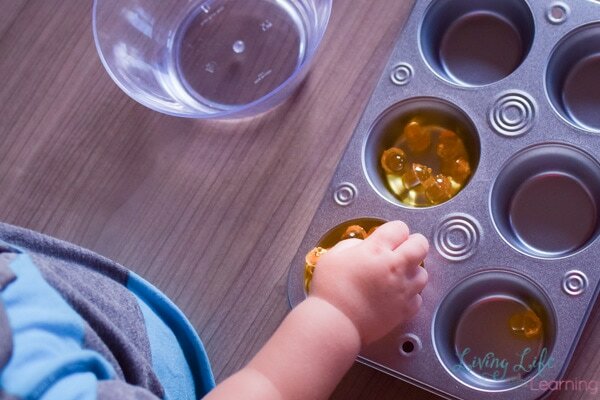 We did this activity in the morning while E was still asleep, but when she woke up, she couldn’t wait to stick her hands in, too. 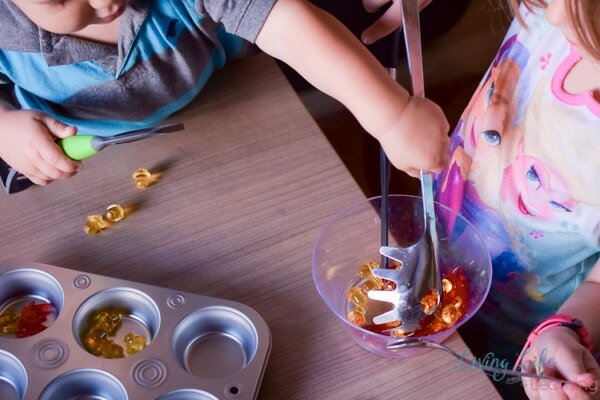 If you’re looking for more fall activities, try this round-up of Preschool Fall Activities or my Fall Activities for Kids landing page!